Yesss finally another Alpha Outpost box! I gotta say, they are is still my fav guy box, theirs is the ultimate gift for the man in your life. Alpha Outpost is truly a mans man type of box, with the tools and training to take life by the balls. Once again the quality surpassed what I would expect in a typical box and good for any man in your life. They have such creative themes, with some awesome past boxes including the Survivor Box, the Gentlemens Box, the V.E.G.A., the Medic Box and the Hostage Survivor Box, they just keep getting better and better and with this intense tools comes a website link to get some training on how to use them. This months theme is Hermes and includes a fantastic Tactical Messenger bag. 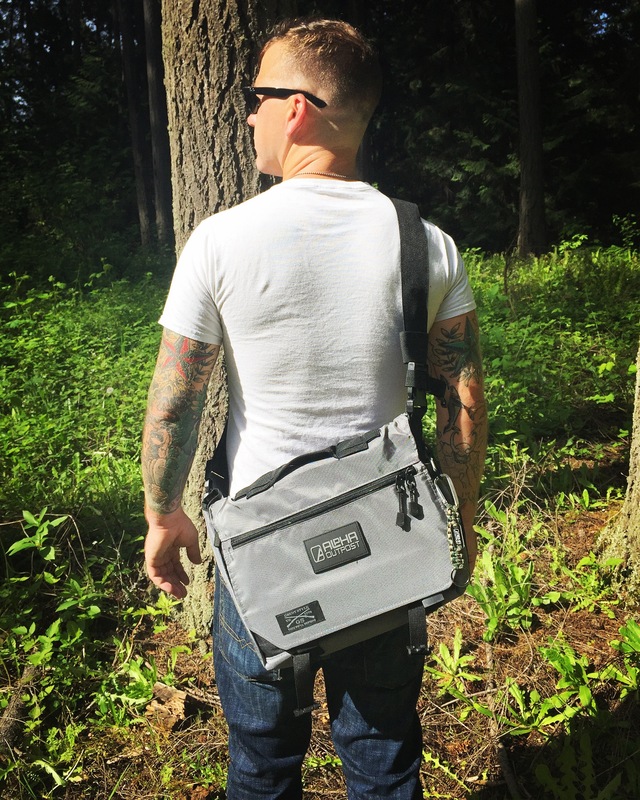 It is an alternate EDC bag that is the perfect place to pack your heat. With a quick access concealed carry compartment it is perfect, also allowing for your laptop, water bottle, accessories and everything else. The box also comes with a manual which tells you everything you need to know about the contents of the box and other tips and tricks. I love how their website has all the past training videos as well. So tons of 30 second quick clips on how to use their products, how to survive in the outdoors, pretty much everything you need to know to be ready for anything.